RnB Vibes: Piano, Hip Hop / Rap / RnB Sample from Equinox Sounds. 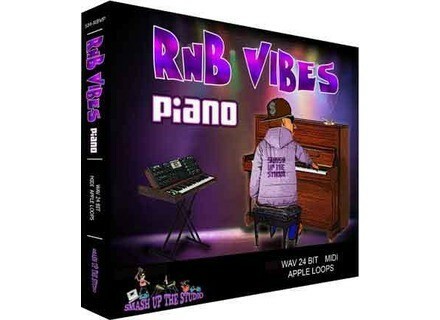 Equinox Sounds has released RnB Vibes: Piano, a downloadable collection from it's content partner, Smash Up The Studio. 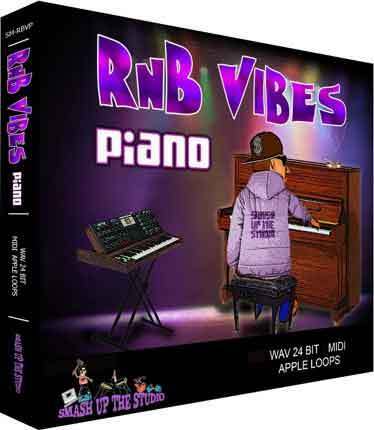 'RnB Vibes: Piano' features piano phrases and includes 40 4-8 bar chord progressions ranging in tempo from 65-110 BPM. Each loop could form the basic musical structure for an entire track, according to Equinox, and comes in 24-bit WAV, MIDI and APPLE LOOPS formats. Also included as a bonus are the beats and the other musical parts from the MP3 demo track. 'RnB Vibes: Piano' is currently available for $29.95 as a download. Check out www.equinoxsounds.com for more info.